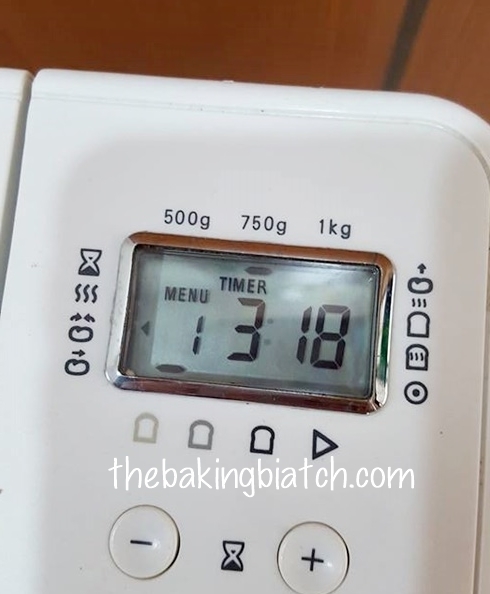 After my insane attempt to bake a loaf at 3.30am last week cos' I couldn't fall asleep, I've been trying out loaf recipes on the bread machine that the hubby got that I under-utilise.. 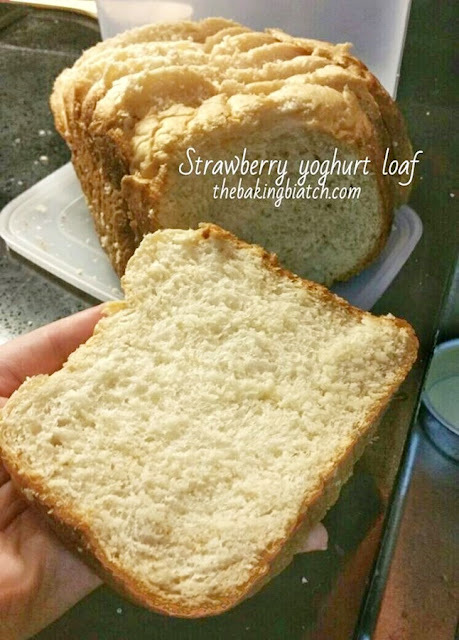 Here's a simple recipe for a yoghurt loaf that I baked yesterday! I used function 1 of my Kenwood BM250. I used the recipe from Catherine of Catherine's Cooking. You'd probably need 4 hours or so to bake this loaf and since the machine does most of the work, I'd rate it a difficulty level 1 out of 5. Change the flavour of the yoghurt to get the flavour you'd like.. the options are endless! If you are using other bread machines, the recipe should work well on your basic bread function too. Place wet ingredients into your bread machine. 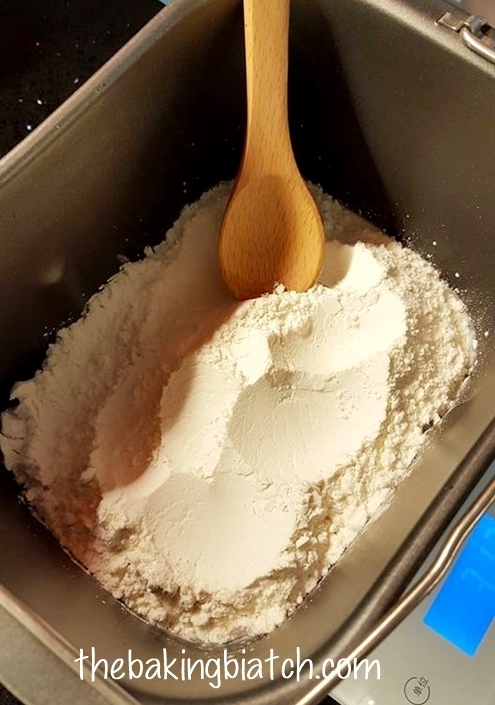 Cover liquid with bread flour. 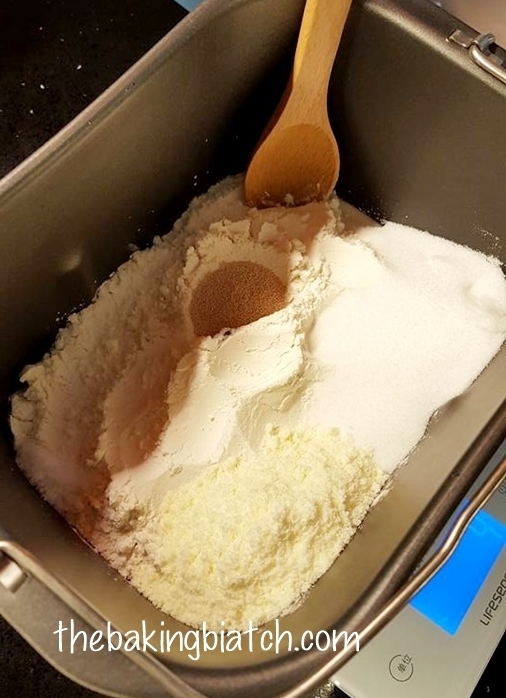 Place salt on one side of the tin, sugar and milk powder on the other side. Place the instant yeast in the middle. I chose function 1 (regular bread), 750g loaf, fair darkness. Allow bread machine to run.. When the machine beeps at 2:56, add butter. Allow bread to mix and proof. At 1:15, I shifted the dough to remove the paddle. You can also shape the dough to make it 'smooth'. 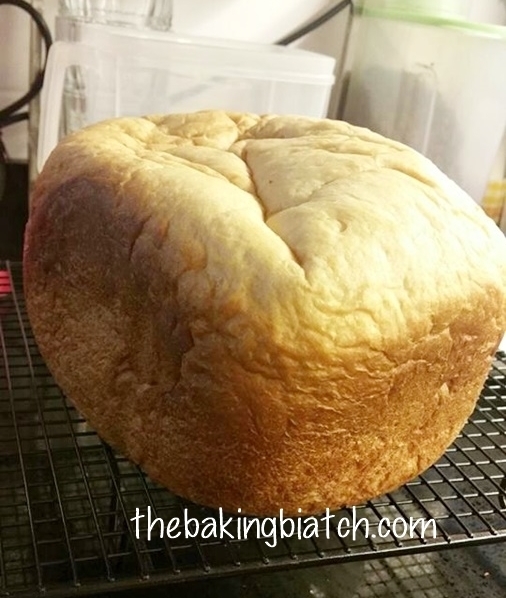 Remove bread from tin immediately upon completion of baking. Allow bread to cool completely on rack before slicing/storing. hello, which part of it do you not understand?